The BMW M2 is the best track toy for enthusiasts who enjoy some weekend racing activities. It’s small, nimble and has plenty of power to deliver adrenaline shots to those in need. 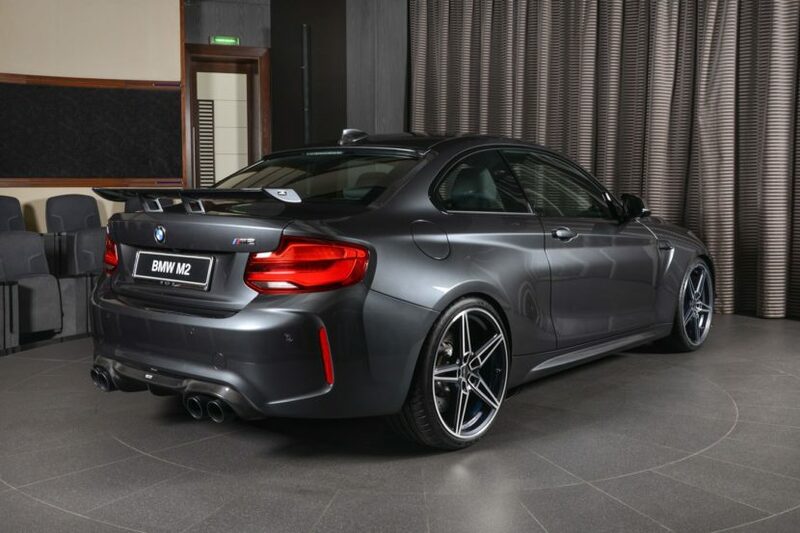 However, there’s no such thing as a perfect car out there and even the M2 can be improved, and that’s exactly what the guys from BMW Abu Dhabi did with this Singapore Grey model. Before being delivered, the car received some goodies from AC Schnitzer. 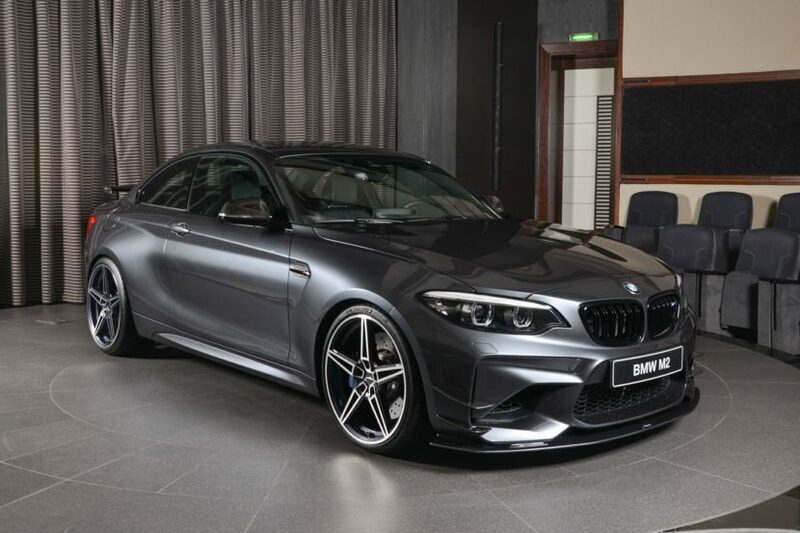 The German tuning company has plenty in store for the M2 as it is also one of their preferred cars from BMW’s stable at the moment. They launched a full kit for it a while back which covers every department. The car we’re looking at today is a non-Competition model so it comes with the N55 engine under the hood and without the cool-looking M side mirrors everyone wants. Nonetheless, the owner opted for carbon fiber mirror covers from the M Performance catalogue as well as some M Performance blacked out kidney grilles up front. The AC Schnitzer bits are more predominant here and they include the front air splitter made of carbon fiber, canards on the sides of the front bumper, new wheels and, moving round to the back, a huge racing wing on the boot along with a carbon fiber diffuser hugging the quad tailpipes of the new AC Schnitzer exhaust. AC Schnitzer also has a power upgrade for the engine but we’re not certain of the power kit levels installed. Nevertheless the cabin wasn’t left out and gained some carbon fiber trims to emphasize the sporty character of the car. Overall, this is not a bad looking M2.